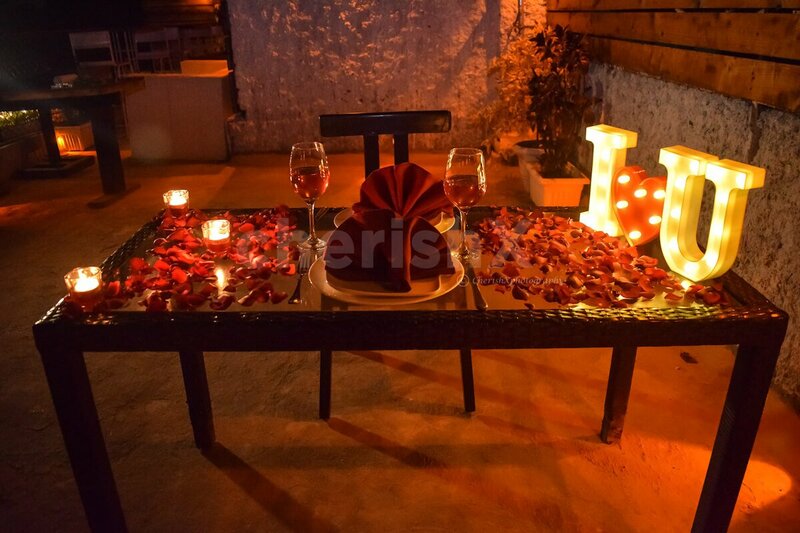 A pure romantic feel and divine inspiration for the earthly pleasures, the love is ignited at the dinner table of a private rooftop dining space adorned with flowers and candles. The beautiful place sits exclusively for you just opposite Deer Park, Safdarjung Enclave, Delhi and you reach the destination of love easily. Parking hassles are a thing of the past when you reach the dream destination. 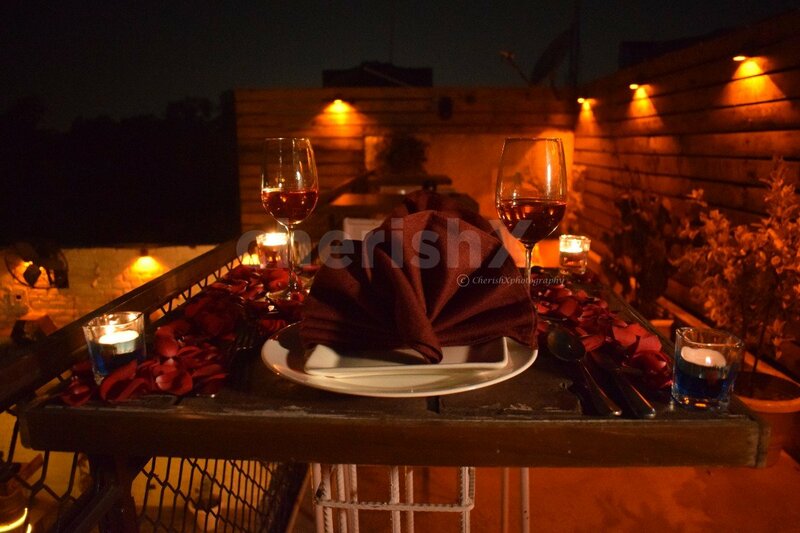 The place exudes the never ending romantic vibes like no other when you are greeted with mocktails. 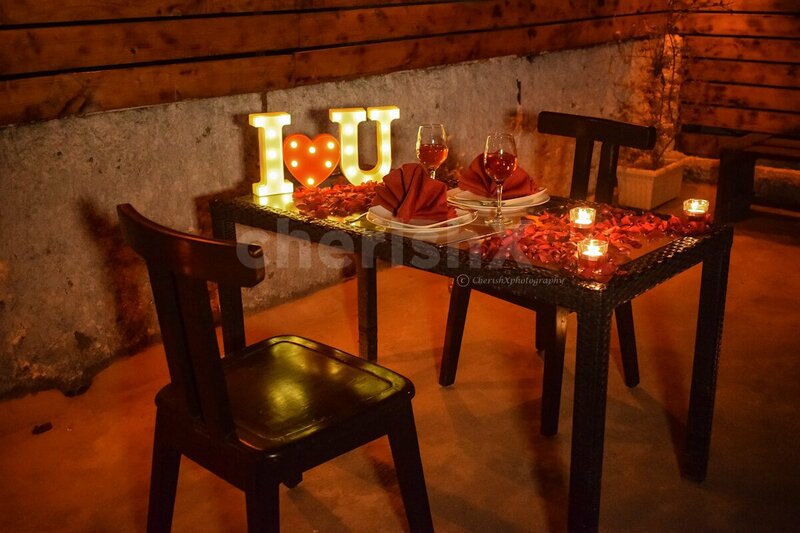 You enjoy the ambient lights and soft romantic music playing for you, while you savour the specially crafted 4 course menu that offers you a lot to devour right from the soups/salads, 2 starters, 2 main course to the magnificent 2 desserts from the lavish Indian cuisine. 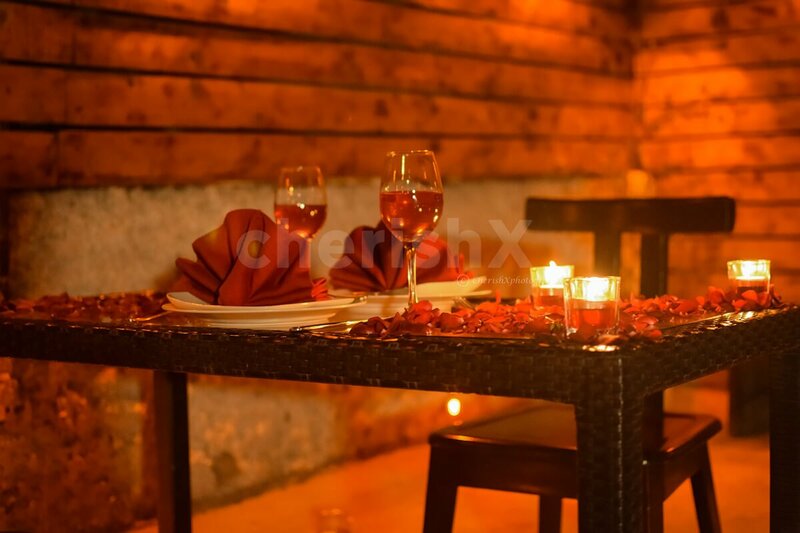 It is your time to indulge in an unobtrusive richness of candles and flowers. 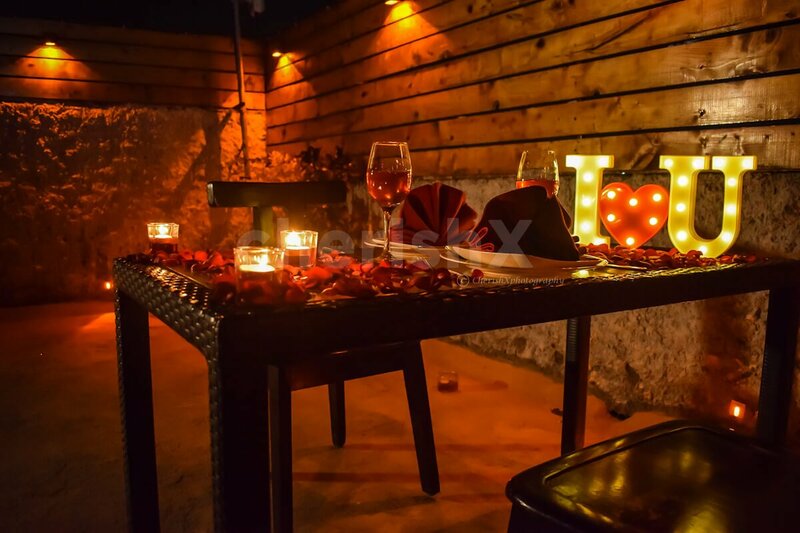 In case you want to customize the evening more for your loved one, then ask to fill the complete area with balloons, a cake, a pick and drop, a beautiful bouquet of flowers or even a guitarist to play the music of love for you two at some extra cost. LOVE letters and ILU letters on the table are not part of the basic package. However you can add them from the customisations option. A Private Guitarist for 20 minutes. 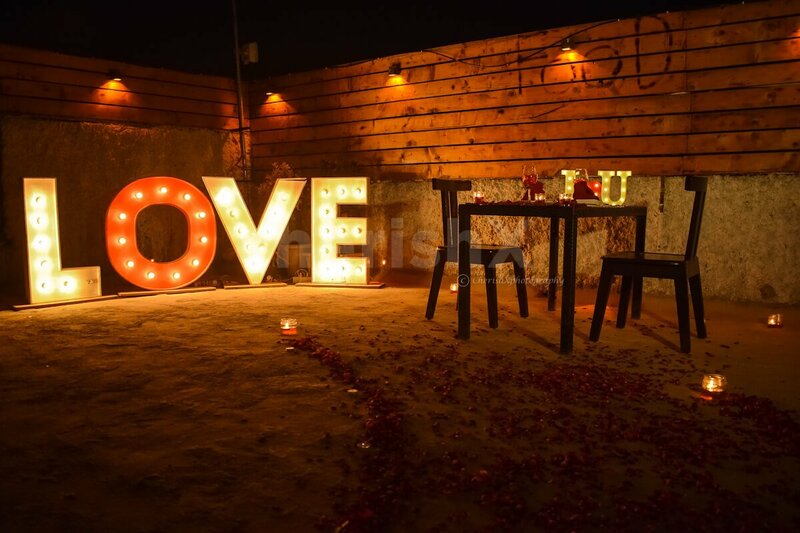 Make your experience exceptional with this beautiful setup of a classic wooden ladder & L.O.V.E marquee letters with arresting lights and flowers. 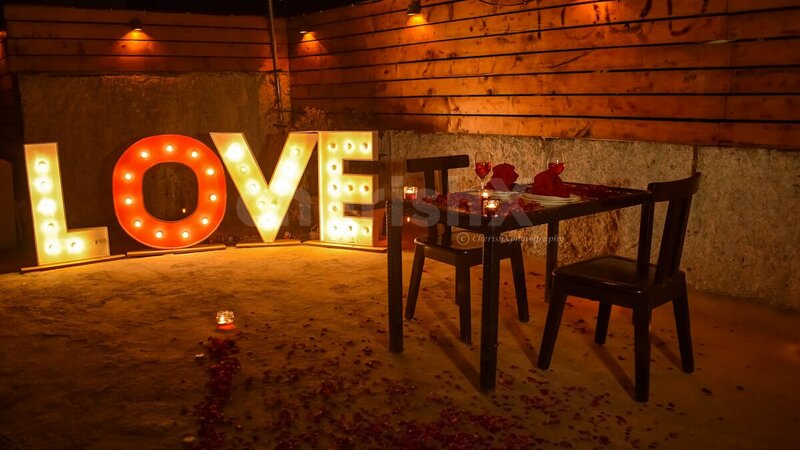 Led Letter Decorations like ILU, Love, Marry Me. The letters in the image will be available at the venue.